Elf Princess Charity is a modern version Cinderella for children of all ages - that casts away stereotypes and leads readers and watchers on a wonderful adventure. 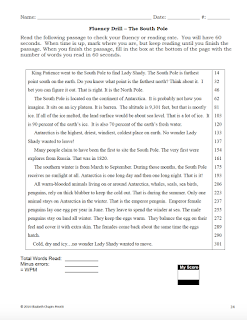 Watch the video as you or your class or homeschooler reads along and then follow the link below to the HUGE lessons to go along with this spunky holiday tale! 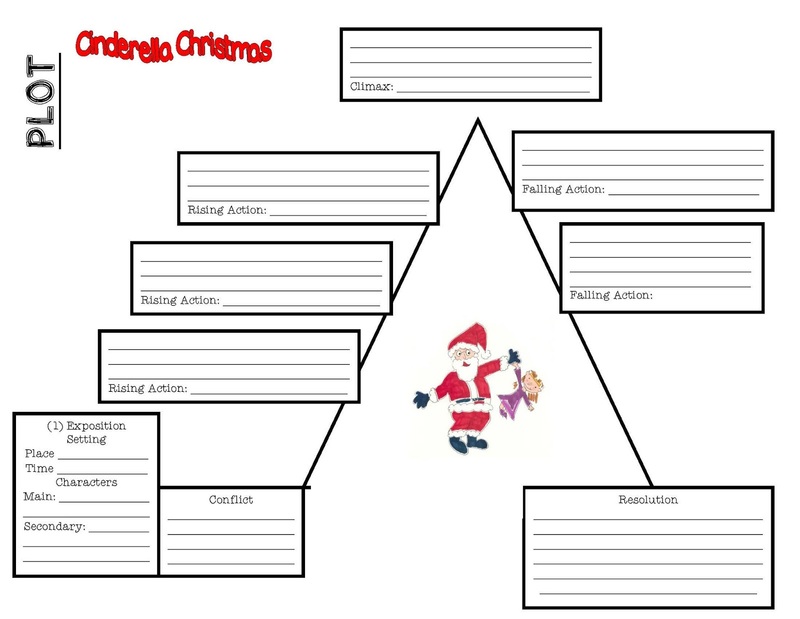 Cinderella Christmas is timeless -- but with a modern twist: A Christmassy twist to the Cinderella Fairytale. 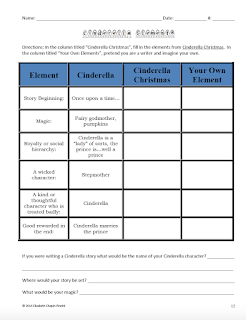 Travel with Princess Charity to the North Pole and enjoy the elements of Cinderella in a whole new, modern, light! 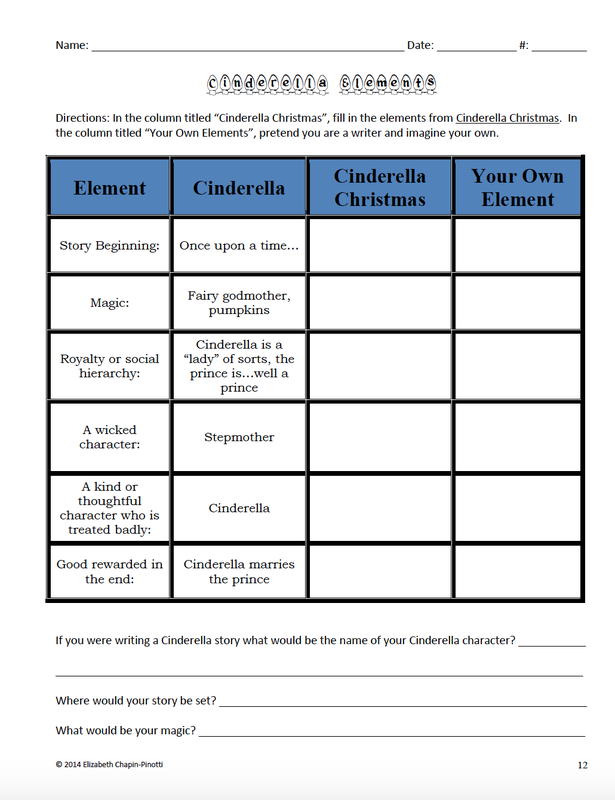 The Cinderella Book Unit is differentiated and may be used for grades 2 through high school - because - let's face it - high schoolers love a great picture book as well! 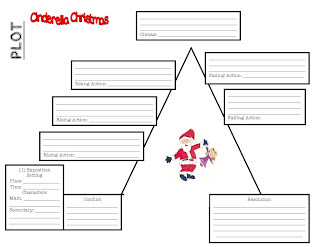 This is a HUGE original Unit based on my book -- Cinderella Christmas. 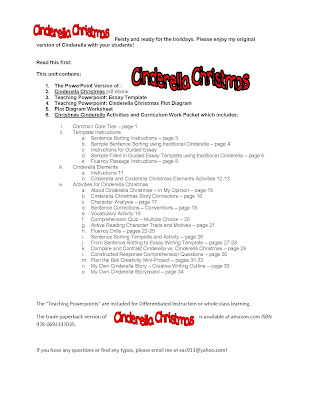 This packet contains -- Cinderella Christmas ebook, Cinderella Christmas PowerPoint, over 30 print-and-go activities, Cinderella Elements PowerPoint, Cinderella Christmas Plot Diagram PowerPoint with student sheet, From Sentence Sorting to Essay Writing PowerPoint and student template, teaching Cinderella Powerpoint and a whole lot more! 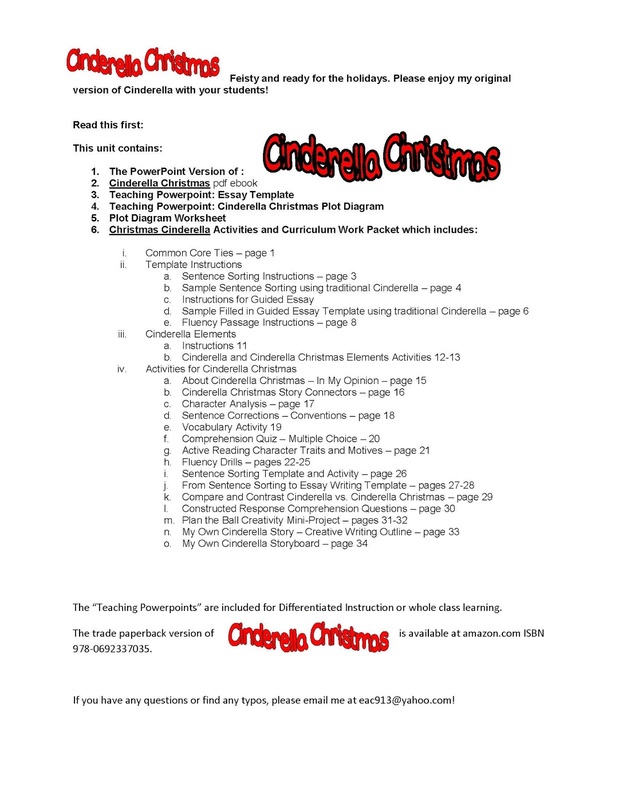 If you would like to purchase the book - Cinderella Christmas by Elizabeth Chapin-Pinotti - the author would appreciate it! (shameless plug) - either way - enjoy!!!!! The book is slightly different - illustration-wise - than the video! For variety and goodwill and fairness during December -- look to my "Dealing With the December Dilemma." Counter the December Dilemma with rich lessons and links on Christmas, the Native American Miwok Big Time Festival, Ramadan, Hanukkah, Christmas, traditions and holidays in general in a culturally competent context. Also included: an original story about a group of children who combine their holidays into one that focuses on the central themes of all: peace, good will to men and hope. 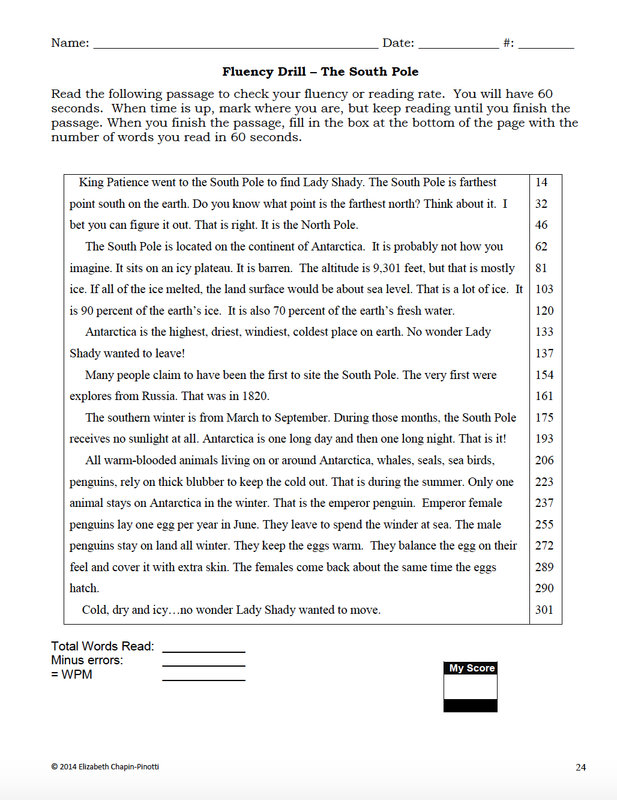 My Amazon Author Page - more blog information - instructional materials and strategies and look for free Kindle versions of my books!